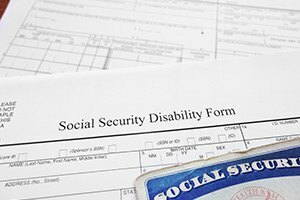 To meet the criteria for Social Security Disability (SSD), your disability must prevent you from obtaining any job for which you are reasonably suited in the local, regional or national economy. You must have worked five out of the last 10 years or an established equivalent if you have only been in the workforce for a few years. Many first-time SSD applicants are initially denied benefits, but this does not mean you do not deserve SSD benefits. At the law firm of Pulgini & Norton, LLP, we help people in the Greater Boston area and throughout Massachusetts determine their options for seeking SSD benefits. Our lawyers have more than 40 years of experience handling all aspects of the SSD process. We understand the technical and procedural elements involved and use our knowledge to help clients obtain the best possible outcome. Contact us to learn more about your options for pursuing Social Security Disability. To schedule a consultation, call our offices in Massachusetts toll free at 781-843-2200. SSD is designed to help people receive financial assistance when a debilitating injury or illness prevents them from working for more than one year. Despite what many think, SSD benefits are available to anyone who has paid Social Security taxes out of their paychecks for five of the last 10 years. Many of our clients own homes, have savings and otherwise lead normal lives besides their inability to return to work. Receiving SSD benefits does not mean you can never return to work, although for some, this is unfortunately the case. Instead, SSD benefits are designed to help you take care of your needs and the needs of your family while you recover from a serious injury or illness that has left you unable to work. Our attorneys will review your case and help you understand your options for pursuing the benefits you need to maintain a quality standard of living. If your injury or disability prevents you from working, contact Pulgini & Norton to learn more about your options for pursuing Social Security Disability. Schedule an appointment by calling our Downtown Boston, Hyde Park or Braintree, Massachusetts, office locations toll free at 781-843-2200.